What a delightful, talented bunch of ladies in Lafayette. Here are some photos of their paintings below. Stay tuned, I've got more to share, and if you're very, very good, maybe even a new french saying or two! Jennifer's white hydrangeas were so dreamy! Laurie rocked that glass vase! 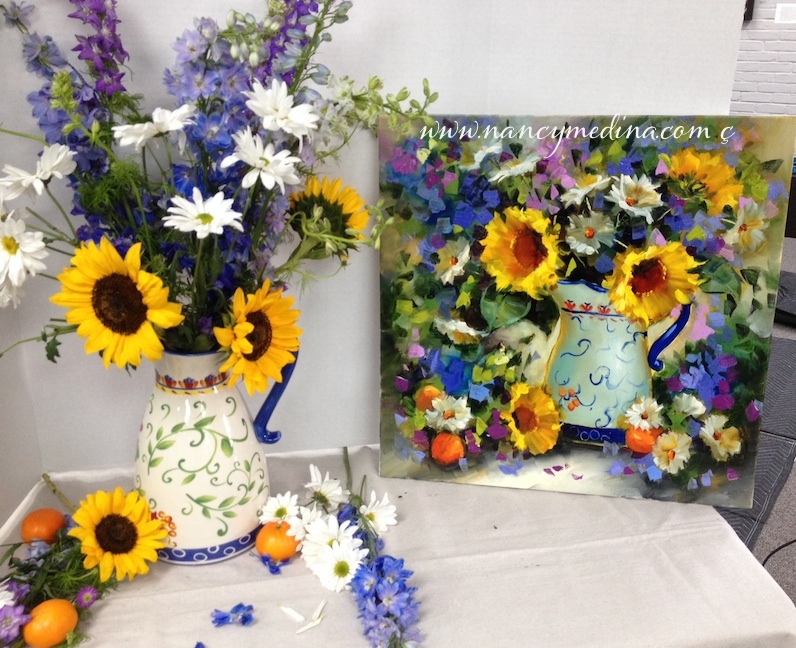 Smiling ladies, hydrangea paintings, sunflowers, what more could one need? 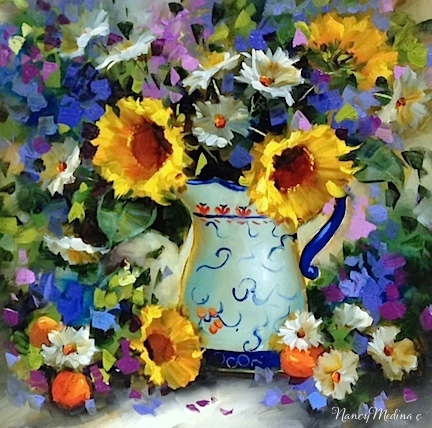 Vaughan's beautiful shadows in acrylic!